AMM 2/c Kenneth R. Leard, son of Mrs. C. O. Green, attended Cons. School No. 3; husband of the former Anna Lee Houston. 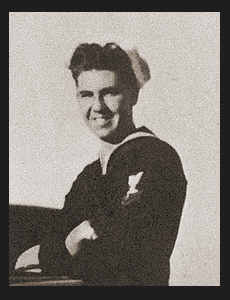 Entered Navy in Nov., 1942, trained in San Diego, Cal, Norman, Okla. and Norfolk, Va. Served in South America and Panama.